The map shows the percentage of children in various European countries born to parents who are not married. 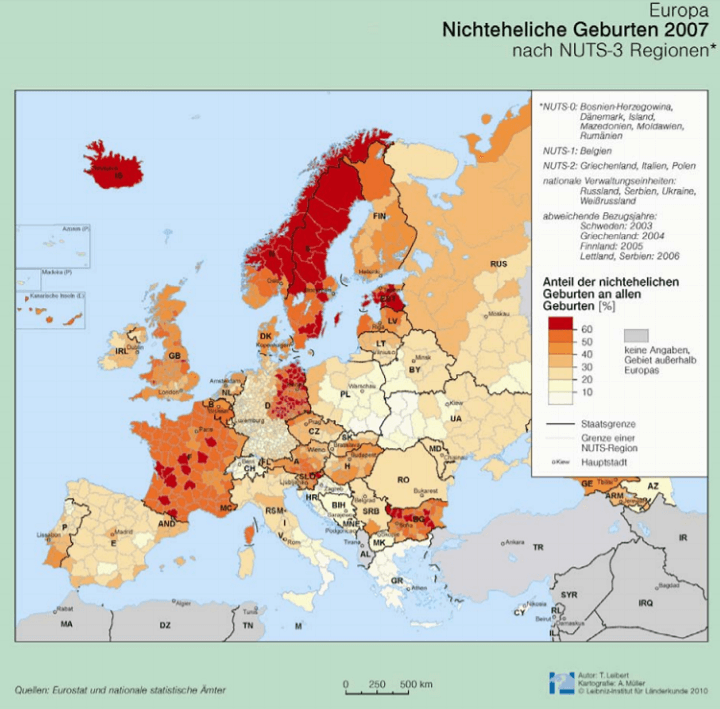 While the map is in German, the colours are fairly obvious, the darker the red the greater the share of children born outside of marriage is. The data is from 2007, so is a little old but does show some interesting differences both between countries and within them. The most noticeable difference of all is probably that between the former East and West Germany. In the former East there are many areas where more than 60% of children are born outside of marriage, whereas in the West there are none. Rather pointless and obsolete map in a world where marriage and getting children are decoupled.